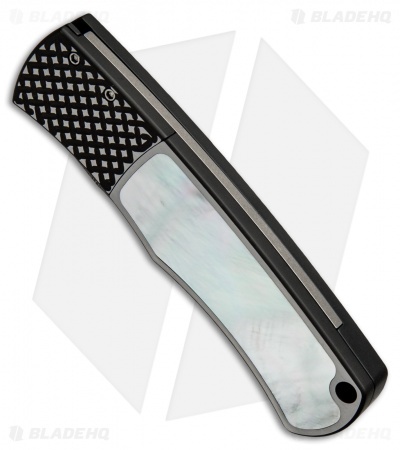 This custom Magic BR-1 knife from Protech is a head turner. 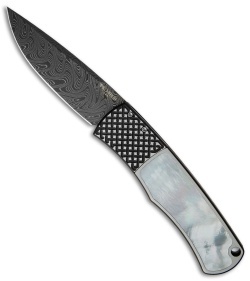 It has a Chad Nichols stainless Damascus steel blade and two-tone black/satin finished 416 stainless steel handle with a mother of pearl insert and patterned bolster. This knife doesn't open intuitively for most people, but you'll know the secret to its suave automatic action. 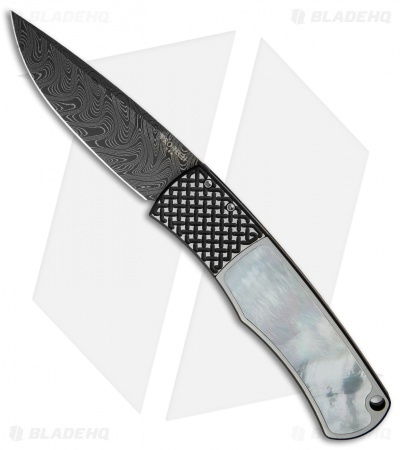 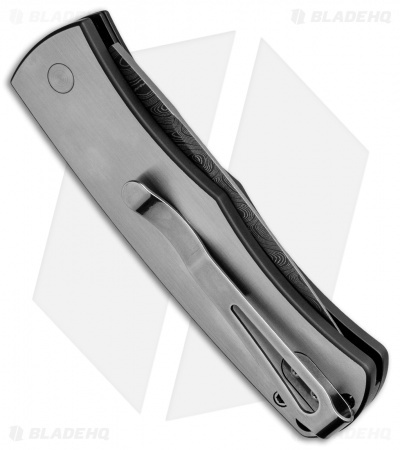 The Magic BR-1 is a Mike "Whiskers" Allen design that utilizes a hidden bolster release; a simple, deliberate slide of the front bolster deploys the blade and also unlocks it.